This is an exhibition of paintings of famous people's shoes: whether they belong to an international stage star or local hero, all the shoes featured here belong to people who have used their talents to good effect. So Bryn Terfel's brogues, his stage shoes for many years, can be seen alongside the kitten heels of Buddy Thompson MBE, affectionately known as the Lifeboat Lady of Penarth. They also all have some sort of link with Wales. The famous feet exhibition was on view at HAMPTON'S, Ludlow Lane, Penarth, South Glamorgan, from Monday Oct 16 until Thursday Oct 26 between 9.30 and 5. The paintings were auctioned on the evening of Oct 26th, 630 till 8.30. Proceeds of sales going to BARNADO'S CYMRU (Charity Number 216250). 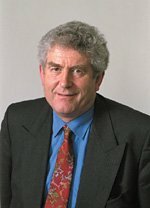 Here we have Rhodri Morgan, sole to sole with Dame Shirley Bassey: Michael and Sandra Howard playing footsie with Sian Lloyd and Catrin Finch… Derek Brockway, Jonathan Davies, Ioan Gruffudd, Buddy Thompson, Ryan Giggs, Craig Bellamy and Bryn Terfel CBE , Harry Holland and Hercule Poirot.….